Eva Mendes was seen at the 5th International Rome Film Festival– screening her new film Last Night— in this great black & white print, chiffon dress. With the new MONDAY MATCH, you can get her look for under $100! 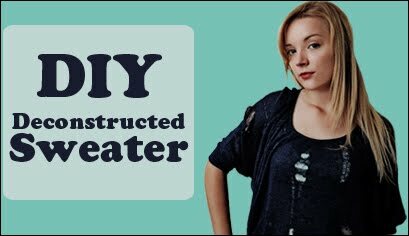 Deconstructed knits are a big trend for this fall– so in the newest DIY video I’ll show you how to take a sweater and deconstruct it yourself for a cool, edgy look. Remember to subscribe to the YouTube channel as well to keep up-to-date on all the newest DIY tutorials. Actress Mila Kunis attended an event for her upcoming movie Black Swan in London last week, in this chic black & white ensemble. 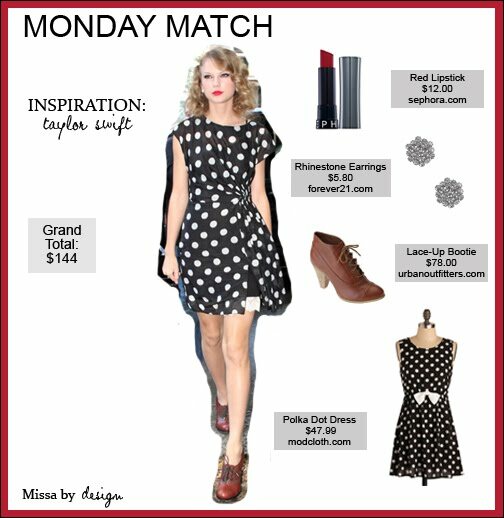 Get her look for less with today’s MONDAY MATCH. Emma Stone– star of the latest comedy-hit Easy A— was seen outside The Late Show with David Letterman in this great, navy ensemble. Get her dressy-casual look with the new MONDAY MATCH. Dove Deodorant Correspondent & Seventeen Magazine! Taylor Swift was recently seen leaving the Four Seasons Hotel in Milan, Italy. She looked cute in this black & white polka dot dress, paired with a retro red lip. You can get her entire ensemble with today’s all-new MONDAY MATCH. You can create your own party with the new DIY video right here! Subscribe to the channel to keep up-to-date on all DIY activities. Actress Kate Beckinsale was looking great this past week in Hollywood while attending a screening of Nowhere Boy. For just $80, you can get her look with today’s MONDAY MATCH! 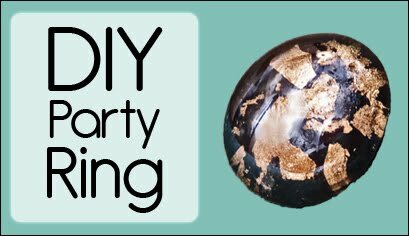 Don’t forget that you can watch the new DIY video (Party Ring) right here. Make your own party ring– perfect for homecoming or any other fun event– with the new DIY video. It’s a great statement accessory to wear this fall! You can watch below or right here. Don’t forget to subscribe also! Broadway & TV star Kristin Chenoweth was at an event this past weekend, wearing this great black & white ensemble– and sporting a big trend for the fall: feathers! Get a similar look for less with today’s all-new MONDAY MATCH. Today’s MONDAY MATCH draws inspiration from this outfit that actress Sienna Miller was seen wearing at the Matthew Williamson Spring/Summer 2010 presentation. I love the deep colors she’s wearing in this outfit– what trends are you looking forward to wearing this fall and winter?